Sketchbook_Toronto_1982_003, originally uploaded by Brin d’Acier. As a child, all my drawings were done on loose-leaf paper or rolls of butcher paper. I don’t know why I started using sketchbooks, but I do know that the first one I bought in 1981/82 had perforated pages so I could rip them out as I finished them. I had drawn self-portraits since my childhood, but his is probably the first one I did with a mirror. Note the luxuriant curls of hair – did I have a premonition of future baldness? 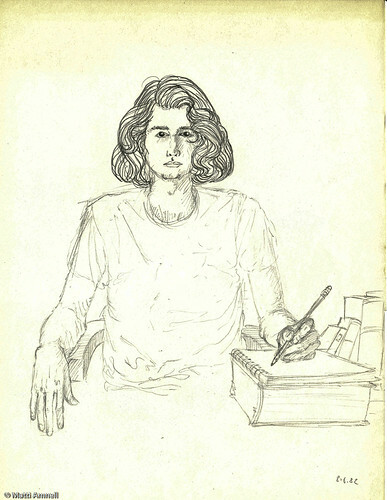 This entry was posted in Sketchbook and tagged canada, pencil, self-portrait, toronto. Bookmark the permalink.